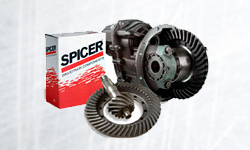 Spicer manufactures a full line of Spicer products for your transmission replacement parts and components for a variety of applications in the off-highway segment, including construction, forestry, material handling, and mining, heavy duty drive axle, including ring and pinion sets and gearing. Do not risk breaking down and incurring additional expense from downtime and lost productivity—Spicer truck axle parts are proven to outperform the competition. That is why Spicer truck axles have been the world leader for decades, and it is why we are the name you can trust with all heavy duty replacement axles. As the world leader in front steer axle technology, we provide our customers with the most versatile, durable, and reliable steer axles and components on the market. Improved king pin design and tie rod end technology using a sealed boot and patented grease purge valve reduces contaminants and increases life. 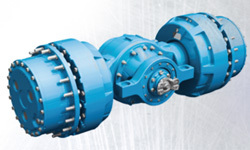 Dana manufactures a full line of Spicer products for your heavy duty drive axle, including ring and pinion sets and gearing that outperforms the competition by up to 280%. You get increased wear protection and outstanding spin-out resistance and longer life through an improved ring gear and pinion heat treatment. All the parts required for a complete axle overhaul can be purchased, such as bearing kits, wheel differential case kits, side gear kits, and more. In addition, discover how you can get heavy axle carriers without incurring core charges. When a medium or heavy duty axle part is replaced with a genuine Spicer product, it is being replaced with the original equipment product, ensuring the same performance and reliability you have come to expect. It all adds up to longer-life parts for maximum time on the road and minimum operating costs. The up-front cost savings from using non-genuine parts is minimal when compared to the values associated with genuine Spicer axle components. The costs associated with breakdowns far exceed the minimal savings you get from non-genuine parts. 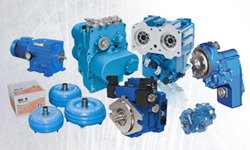 Dana offers genuine Spicer® transmission replacement parts and components for a variety of applications in the off-highway segment, including construction, forestry, material handling, and mining. Genuine Spicer® off-highway transmission products are manufactured to the same high standards as Original Equipment (OE) parts, because they are OE parts. That means when off-highway transmissions and transmission parts are replaced with a genuine Spicer product, it is being replaced with the original equipment product, ensuring the same performance and reliability you’ve come to expect. 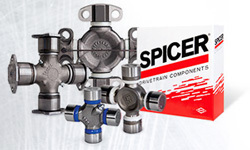 Spicer transmissions and torque converters handle performance needs for vehicle powers from 37 to 746 kW (50 to 1,000 horsepower). We offer transmission solutions for any off-highway need, including transfer cases, hydrostatic transmissions, powershift transmissions, and torque converters. The productivity of any machine depends on the operator’s ability to smoothly and efficiently command the vehicle. We provide operators with the help they need through electronic controls that optimize performance and ease of use while improving durability. Dana’s Off-Highway Technologies Group offers the latest technology for the diverse needs of off-highway vehicle end-users. Focusing on productivity, ease of use, safety, comfort, and efficiency, we also address the very specific needs of each application’s duty cycle.